€3,00 €2,49 Size: 10-12 cm. 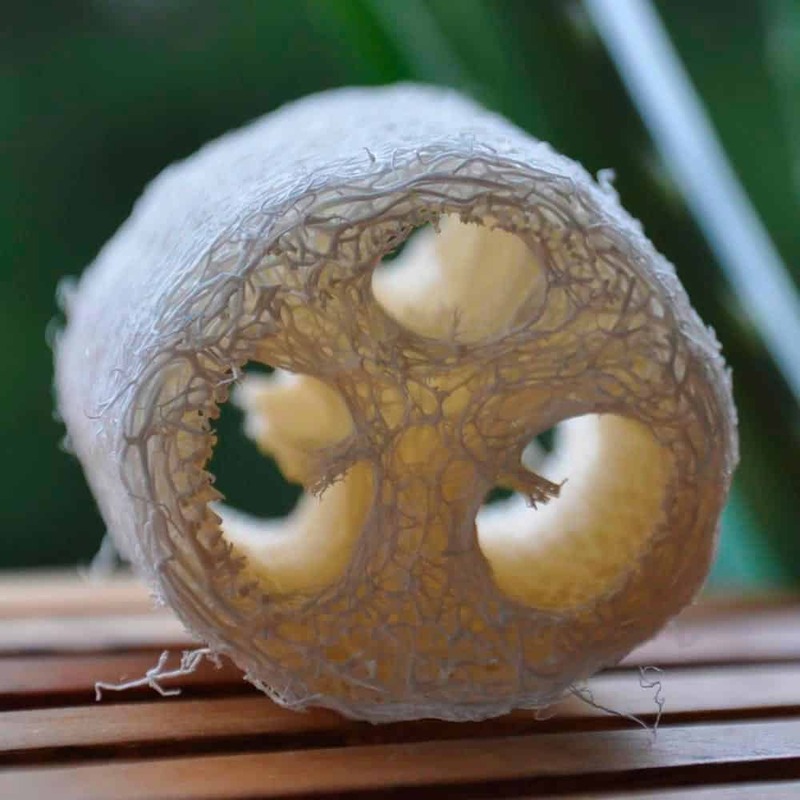 The loofah sponge is 100% natural and intended for all skin types and is ideal for activating blood circulation and eliminating cellulite, peeling, stimulating and soothing the skin. You can also use it for dishwashing or cleaning tiles without causing scratches or damage. The Luffa sponge is a plant, the inside of the Luffa or sponge pumpkin, thus belongs to the category of completely natural goods. Its shape also reflects the inside of a pumpkin. It feels rough and hard to the touch, but when it gets wet, its fibers soften, but they are still perfect for thoroughly but gently removing the dead cells from your skin. It can also be used on orange peel skin: rub your skin from bottom to top with circular movements. Don’t be too gentle, it doesn’t matter if the skin turns red, because that just means you’ve done a good job! Basically, the application is suitable for all skin types. However, you should refrain from using it for chronic skin diseases such as neurodermatitis, but also for open wounds or small scratches. Rinse the shower sponge thoroughly with clear water after each use. Then hang it up so that it is well ventilated and can dry. Leave it in a mixture of water and vinegar for 5-10 minutes and dry it. You can place the natural sponge in the microwave for 30 seconds after rinsing. This kills any germs that may be present. 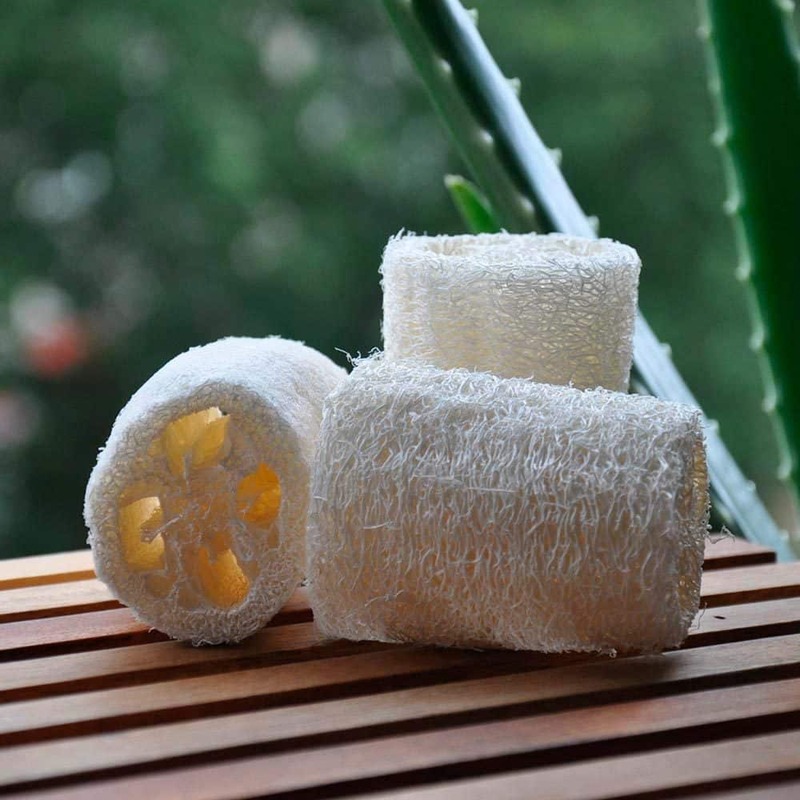 Luffa can also be washed at 30 degrees in the washing machine. However, do not use fabric softener. Always use your own loofah sponge and do not share it with family members or friends. Change your loofah sponge or glove regularly, about every two to three weeks. Size: 12 cm width aprox. Our products are free of parabens, silicones, artificial dyes, fragrances with allergens and many other toxic substances that are very harmful to our skin and nature. Everything is elaborated with active principles of natural origin coming from biological cultures, free of pesticides and without cruelty with the animals.